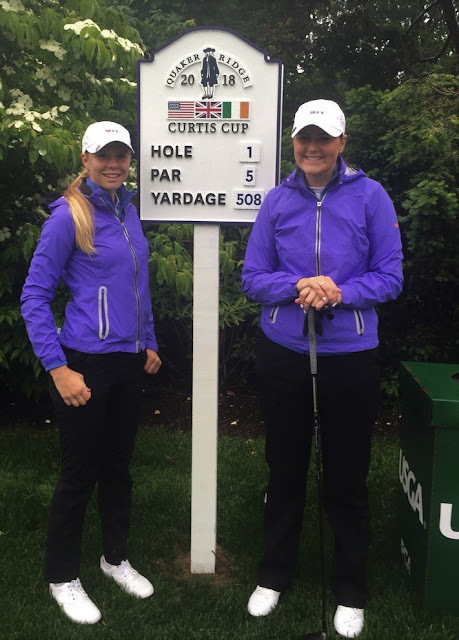 GB and I scored a magnificent victory over the United States in the 39th Curtis Cup match at Dun Laoghaire Golf Club in June 2016. It's 20 years since GB and I won two Curtis Cup matches in a row - 1986 at Prairie Dunes (GB ad I 13, USA 5) and 1988 at Royal St George's, Kent (GB and I 11, USA 7). 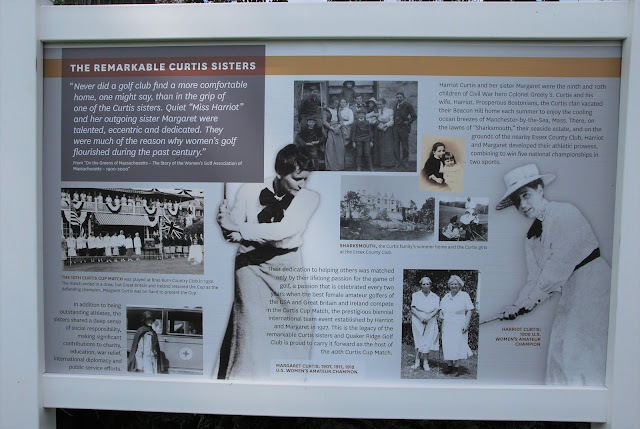 GB and I's last Curtis Cup victory on American turf was in 2002 at Fox Chapel Golf Club, Pittsburgh where the scoreline read: USA 7, GB and I 11. 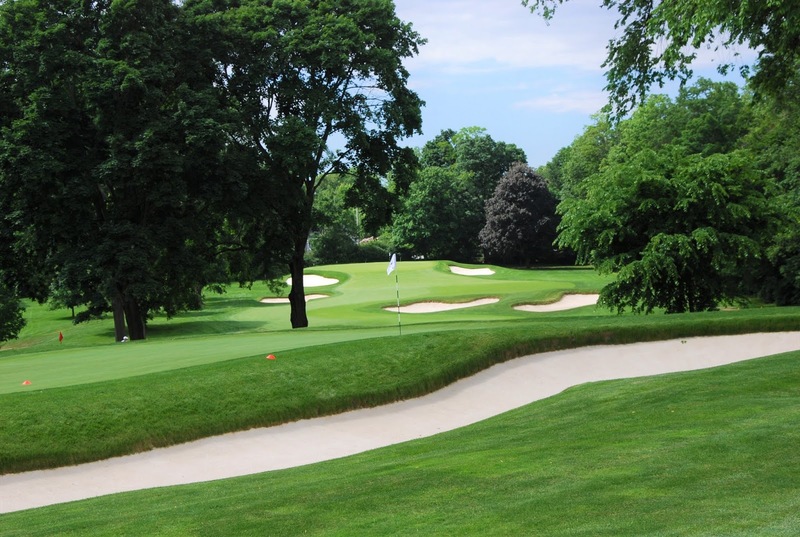 Quaker Ridge Golf Club, an exclusive golf club with not a lot of members, is in tip top condition for the 40th match. Above is a view of one of the many picturesque holes. Players will have to aim for certain areas of the greens to have a birdie putt possibility. Three putts will inevitably follow if their shots are on the "wrong" sides of the greens.